Healthy grocery shopping is a learned skill that can save you time, money, and many calories in your quest for healthy eating! 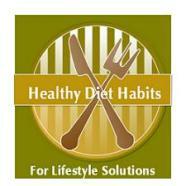 If junk food is not in your house, you probably won’t eat as much, and weight control will be easier! Shop from a healthy grocery list: This will help you to avoid impulse buys, strategically placed on end caps to grab your attention! This takes planning. Leave a list on your refrigerator and encourage family member to keep the shopping list updated. Never shop when you are hungry: That is a recipe for disaster! Impulse buys will fill your cart! Shop the perimeter of grocery stores: This is known as shopping the U, where fresh, real foods like produce, dairy, meats, and breads are located. You will usually need to hit the aisles to find the freezer section, canned food section, and dried food sections. Hit the aisles quickly. Skip processed junk food aisles: They are full of processed foods that are irresistible empty calories! You know the ones, chips, cookies, crackers, cereals, and candy! The dreaded comfort foods! Read food labels: If a label contains more than five ingredients or ingredients that you do not understand, skip it! Buy ingredients and make those foods at home, without added chemicals! These tips will allow you to defend yourself against aggressive advertising from grocery stores! Shop with your list, grab the basic real foods that you need, and avoid those impulse buys! Buying in Bulk: Reasons to buy foods from the Bulk Bins and Tips for Bin Shopping! Costco Bakery and Food Court Calories: Costco does not include the calorie statistics on their bakery or food court items. Many people purchase these oversized items that are huge portions with little idea how many calories they are eating. End the habit of clueless Costco shopping! Farmer’s Markets: Find out all the reasons for supporting your local Farmer’s Markets! 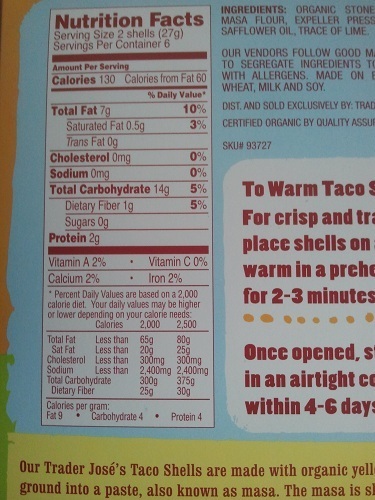 Food Labels: Simple tips for reading food labels and what you really need to know. 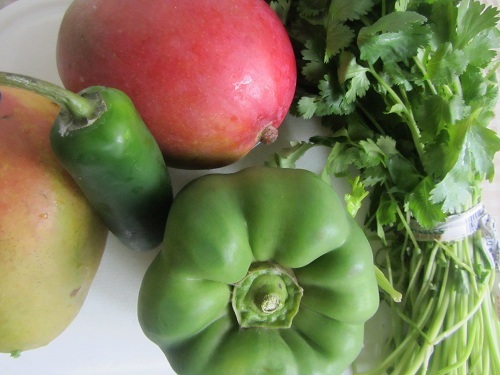 Food Frugality: Find tips to save money when purchasing different food types. 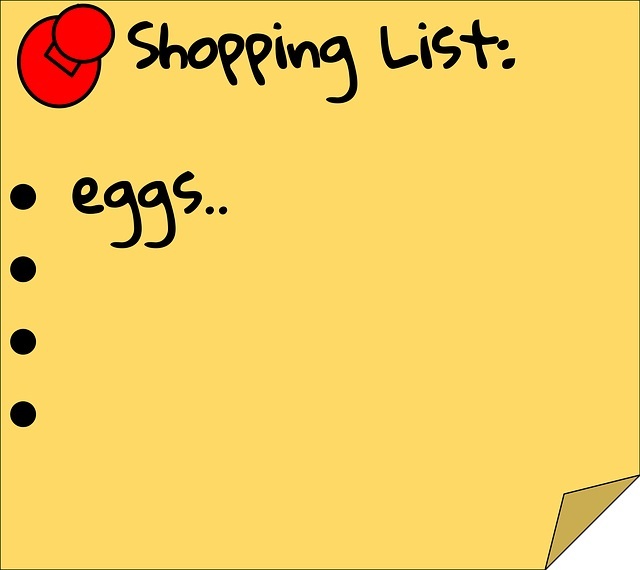 A Healthy Shopping List: This healthy shopping list will help you shop and avoid impulse purchases! Reducing Food Waste: Reducing food waste each week could pay for your family vacation this year. Find 4 practical steps to help you end throwing food away and saving money! Trader Joe’s Food List: Coming Soon! A Trader Joe’s "Recommended" foods list of all of my top favorite choices! Unhealthy Food Habits: Learn some of the products that are advertised to you by savvy marketers that are not healthy diet choices! Whole Foods Food List: Coming Soon! A Whole Foods "Recommended" foods list of all of my top favorite choices! Phone Apps: Coming Soon! A Phone App "Recommended" list of downloadable phone apps! 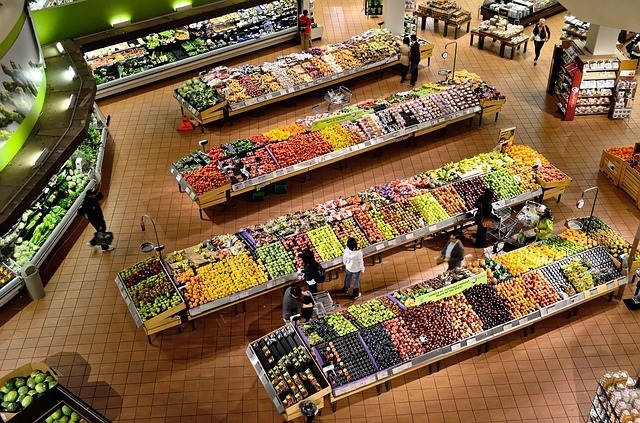 A great lifestyle solution is to practice healthy grocery shopping each time you set foot in a market! Shop sales, use your shopping list, practice frugal spending, buy from the bulk bins, read food labels, know great food choices from each of your favorite markets, and shop seasonally at your local farmers’ markets for the freshest products! It’s difficult to navigate the world of food, but these tips can greatly help you with healthy grocery shopping! A great tip to always remember is to shop locally! Shop at your local Farmer's Markets or Farms whenever possible. 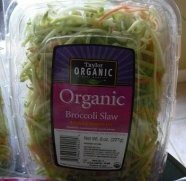 Their prices are comparable but their products are superior in every way. It is always better to deal with a local person and support your local community than a large chain store! Check out and support the 3/50 project!